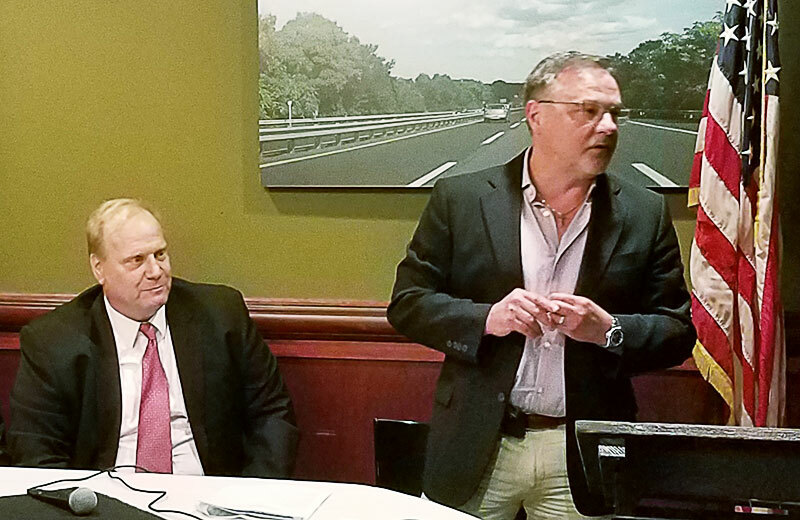 School board members from Ocean County met Tuesday night, Oct. 9, with leaders of the New Jersey School Boards Association (NJSBA) to discuss how state funding changes are affecting local districts. David Hespe, the former New Jersey education commissioner, Michael Vrancik, NJSBA’s director of governmental relations, and Christopher Jones, NJSBA’s legislative advocate, addressed the meeting in Lakewood. The 2018-2019 state budget, and Senate Bill 2, changed the school funding landscape, said Dr. Lawrence S. Feinsod, NJSBA executive director. This month, the NJSBA will conduct three regional meetings for districts that have suffered cuts in state aid. The programs will provide forums where school board members can address their particular situations, learn about options, and receive guidance on advocacy, Feinsod said. The meetings are similar to the forums the NJSBA conducted earlier this year for the underfunded school districts. The meeting led by Ocean County School Boards Association President Jackie Bermudez included an assessment of the New Jersey School Funding Reform Act and how it will affect districts in the future. NJDOE chart comparing final 2018-2019 state aid with last year’s numbers and the amounts contained in the March 2018 state aid notification. Former Education Commissioner David Hespe (left) and Dr. Stephen Genco, superintendent of the Jackson Township school district, addressed the crowd in Lakeland on Oct. 9. 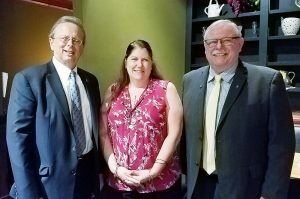 At the Ocean County forum to address school funding Oct. 9, left to right, Dr. Lawrence Feinsod, executive director, NJSBA; Jackie Bermudez, member of the Manchester Township Board of Education and Ocean County School Board Association president; and Michael McClure, NJSBA vice president for finance.